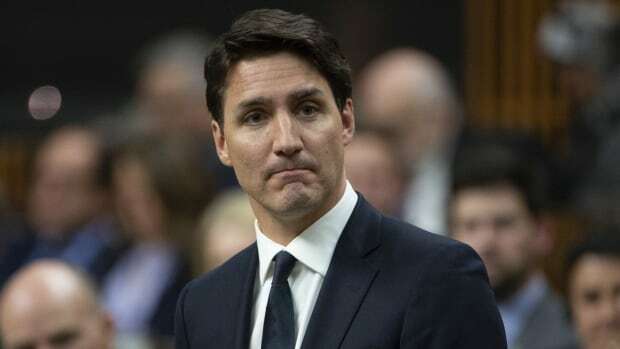 Facing accusations of hypocrisy about his equality agenda, Trudeau pointed to the important work of key female ministers, including Foreign Affairs Minister Chrystia Freeland, Labour Minister Patty Hajdu and Minister of Democratic Institutions Karina Gould. The expulsions come as 338 young women are set to take seats in the House of Commons for the Daughters of the Vote, an event that draws female delegates from every federal riding in Canada to represent their community and vision for Canada. Some of those delegates have expressed support for Wilson-Raybould and Philpott. Trudeau said he looks forward to speaking and listening to the young women. “I have no doubt there will be questions about the internal challenges within the Liberal Party, because it’s something that people interested in politics want to take a look at. But I know there’s a lot of issues we’re going to be talking about,” he said. Conservative deputy leader Lisa Raitt said Trudeau was punishing the two women for speaking up on something they believed was wrong. Liberals on the Commons justice committee used their majority to suspend hearings into the SNC-Lavalin matter. Then Liberals on the Commons ethics committee used their majority to defeat a Conservative motion to conduct its own probe, arguing that the justice committee was still doing work. Several Liberal MPs also defended Trudeau, insisting women have a voice and a place in the Liberal Party. “We have a strong prime minister that is a feminist, we have a feminist agenda; our record speaks for itself,” said Tourism Minister Mélanie Joly.